Why Not Me? Meet Red! Likes: Submissive large dog friends, long walks, hikes, & playing! Special Considerations: No cats, no small dogs, no children (due to Red’s size). He will only be adopted out to a pet parent who has signed him up for training. Please see below about his deposit. 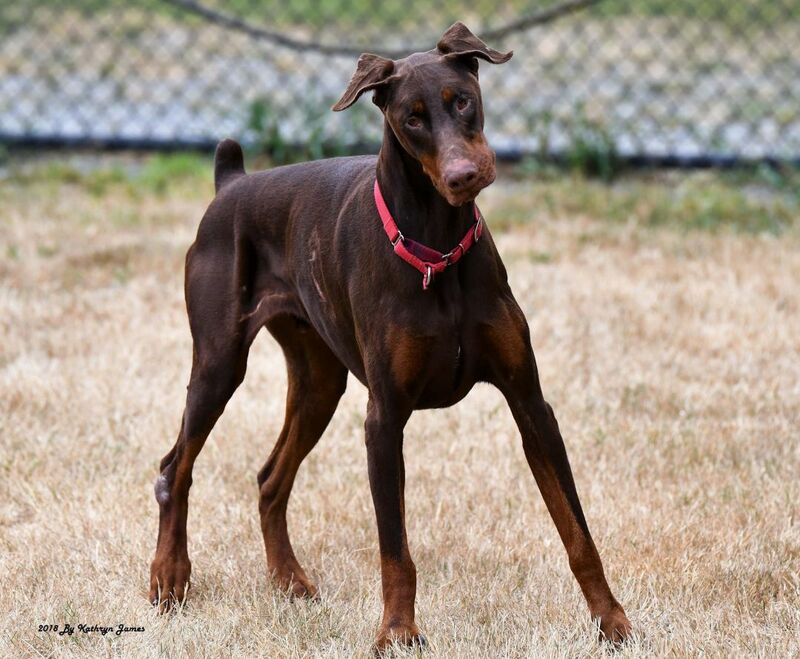 Red is a beautiful Doberman who at 9 years old still has the energy of a younger dog. 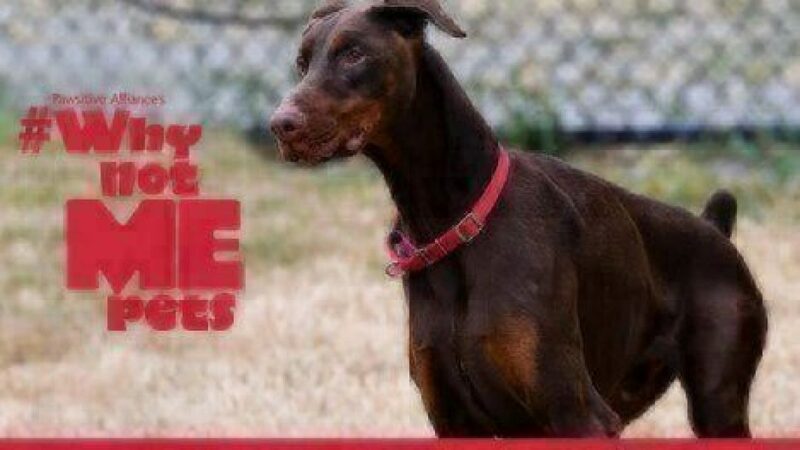 He is looking for a home with Dobie experience that will cherish him through his senior years. Red is dreaming of an active home where he can go on long walks and hikes with his people. Like many Dobermans he is a ‘leaner’ and loves attention from his people. He does not care for crates unless the door stays open. Red likes to run and play – a large fenced yard would be great for this lovable pooch! Red is loving and sweet to everyone that he meets and, according to his foster family, he is a champion couch potato. He is also very good at counter surfing, so puppy-proofing will be a must. Red is a big boy at 70+ pounds so a home without small children would be best. He also likes to play hard, so small dogs would be hurt playing with him. He’s been tested with cats and the rescue has decided that he should be in a cat-free home because he likes to chase them. However, Red may do very well with another dog his size who is calm and submissive. His foster family notes that he’s made friends with a very calm lab shepherd mix (who just ignores him when he gets too energized!). Save-A-Mutt requires a training contract and deposit for Red as he needs to get off on the right paw in his forever home. His prospective pet parent would pick a trainer and upon completion of a 6+ week training class, the $100 deposit would be refunded. Red was allowed to be free in the house while his foster parents went to work today and he was an angel!!! They got home to a wagging bottom and a warm couch. Oh Red… you did it!! Red’s foster parents have told us that he has impeccable house manners and that he just wants to be with his people at all times….he is a true lover. He is housebroken, quiet and is the king of couch potatoes. Red would love a family that isn’t gone for long hours. He is a very sociable fella and enjoys every minute spent with his family. This sweet boy has been abandoned over and over and it is time for him to leave that fear behind and with the right family he will. Red has met, and enjoyed, Rudy who is a very calm and confident lab shepherd mix. Red has a lot of energy and wants to play rough which has made him the least favorite companion for small dogs but that’s ok. No cats for Red because he just can’t control his need to chase them. We think that he is amazing and that he will be one of the best friends that you’ve ever had. Red has been fully vetted, neutered, and is up to date on all his shots. If you are interested in learning more about Red, check out his Petfinder and put in an application with Save-A-Mutt. 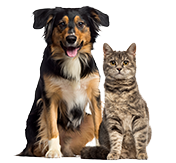 Because Save-A-Mutt is a foster-based rescue, you must be pre-approved and set up an appointment to meet Red first.